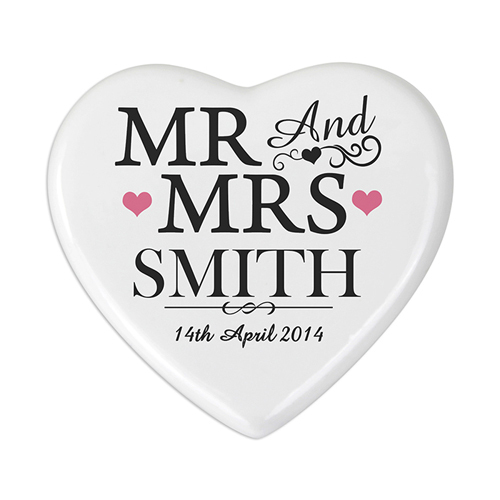 This Mr & Mrs Heart Coaster is perfect for any couple, personalise with names or a message over 2 lines of 20 characters. Personalisation will be automatically capitalised for line 1. Ideal for Birthdays, Weddings and House Warming. Personalise with names or a message over 2 lines of 20 characters.